Advisers are being told there won't be anything to shock them in the approved code of conduct for the sector. Now the Financial Services Legislation Amendment Bill has made it through Parliament, the code of conduct is not far away. 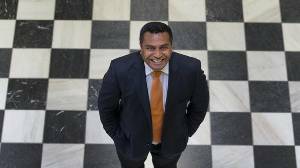 Commerce and Consumer Affairs Minister Kris Faafoi said work was progressing on the code, which will apply to all financial advisers under the new rules. Advisers should not expect any major changes from the draft code that was consulted on. A spokesman for the Ministry of Business, Innovation and Employment said its timeframes for the implementation of the new regime had not changed. Transitional licensing should begin in the last quarter of this year, and run for at least six months before the new regime started with full licensing applications opening in the second quarter of next year. There will then be a two-year transitional period for all adviser businesses to choose to apply for full licenses, or go within the umbrella of another licensed provider. The new code of conduct will apply for the transitional period with a competency safe harbour for previous participants. There has to be a period of at least nine months between when the new code is signed off and full incensing opens under the new regime. Very intrigued to see and hear how often "good consumer outcomes" is being used by the Minister and other officials. Wasn't that phrase almost universally panned in the submissions on CWG's Draft 1, and dropped from Draft 2. Has it made a Lazarus-like comeback in the final draft? If it has, wouldn't that make a mockery of the word "consultation"? Expecting good consumer outcomes from every advice engagement is a bit like saying all horses will drink water if they are led to water. Advisers can give customers good advice, relative to the scope of the advice service they are engaged. What the consumer does post that advice is up to them and may or may not result in a good outcome. All advisers can do is to make sure the decision, good or bad, is an informed decision. What comments do you have regarding the overarching theme of “good advice outcomes” and the underlying principles? 1	I agree in principle with the intent behind “good advice outcomes”, however the description provided (5, p9) is more of a “good advice process”. This is acknowledged in 50, p17. While the CWG might define “advice outcome” as the advice delivered at the time the retail client engages with an adviser, there is a risk that the word “outcomes” in the mind of a retail client has to do with product performance such as a claim being paid or not paid, or an investment rising or falling in value long after the advice was given. 2	In large part the performance of a product is beyond the control of the Adviser. The CWG must decide whether the principle of “good advice process/outcome” is seeking to set standards for advice processes, documentation and consistency; or does it seek to impose a much tougher set of standards relating to the ultimate outcome the client experiences? The latter being a step too far. WAAAAY too far. Great comments guys, Regan agree on your points, however, the FADC has already demonstrated that point 2 is part of the measure of good advice outcomes. The decision the FADC came to in ruling against the adviser concerned was predicated on the basis that the advice didn't work, because of the claim not being paid. This was then linked to the adviser's contribution to that lack of claim payment from them not informing the insurer of the back issue when they knew about the back issue. Which then working back through it logically linked the knowledge of not disclosing the back knowingly put the policy at risk, and the adviser did not restate the advice with the appropriate risks to the clients expected outcome. From this, they became culpable under CS8 for knowingly providing advice and product to a client where the outcome is substantially likely not to result in the desired outcome of the client. This is regardless of the resulting investigations and terms the insurer may or may not have actioned and investigated. So, yes, our fellow adviser, while not passing on something quite minor in the actual risk discussion, the back issue would have likely not resulted in medical notes requests or even terms, the adviser was still out of line on the expected process and professionalism with the back issue. More from me on this with my latest article on this hopefully live today. "good advice outcomes", "good customer outcomes", "good advice process" is all flawed thinking. The only important thing is good advice. "do what the client expeceted with due care,diligence and skill"